Not much, just a retro-style Gundam Z wallpaper from yours truly. Camille Bidan looks good eh? Scan from my collection of 'Gundam Z Illustrations' by Hiroyuki Kitazume. This was an entry for AP's battleground *cough*. Though, for some reason it's not listed in the participating entry, and my team lost the war (not like it's going to win with mine added anyways) T_T but let's just leave it at that. This piece was made in super huriness because I was busy with job (and still are), so yeah, it's all the simpleness you can see here. I hope you like..
Wow... you made a wall! It's been ages! this deserves a fav, for the awesome classicness of it. Well any starscape wall you make turns out well, so other then the fact that I can't look at the characters for more then 5 seconds without wincing I love it! For some reason the lighting seems fantastic in this wall. I'm not sure why I think that, but somehow what you did with the sky makes it fit in well with the characters. I'm sorry I'm not saying this very well, I guess what I mean is: "I like it, good job!" 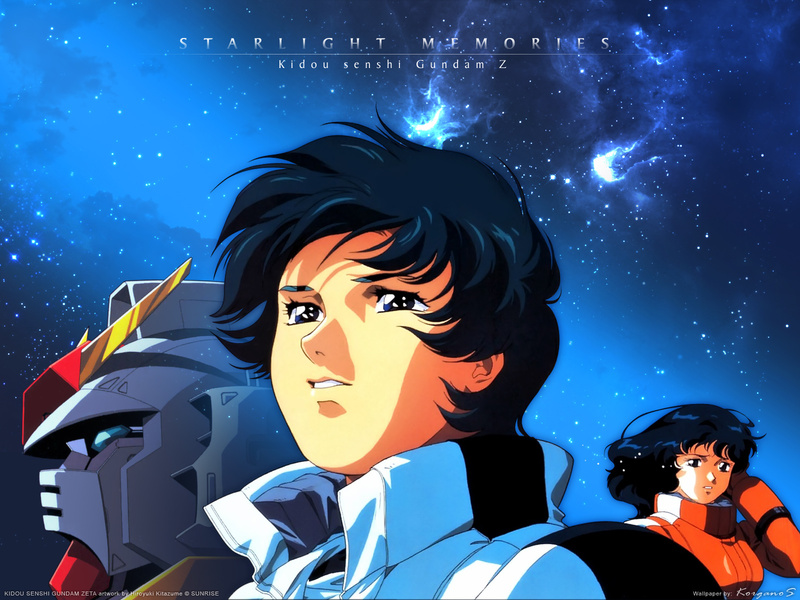 Great job with your wallpaper of Zeta Gundam. Zeta is truly a Gundam masterpiece.